“The kingdom of heaven is like a treasure hidden in the field, which a man found and hid again; and from joy over it he goes and sells all that he has and buys that field." 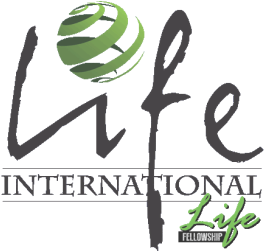 Life Fellowship's desire is to reach cultures all over the world. Our purpose is to make disciples abroad by strategically finding areas in the world where we can make an impact through creative and meaningful connections. Our goal is to fulfill the Great Commission—to grow and strengthen the body of Christ (Matthew 28) and equip the saints for the work of the ministry (Ephesians 4:12). Our desire is to partner with ministries that are focused on both evangelism and discipleship and who find impactful and creative ways to meet emotional, spiritual and physical needs in their sphere of influence. Why Participate in a Ministry Trip? Ministry trips allow you to experience a new dimension of your Christian life. You’ll develop a passion and love for people in different circumstances and cultures. You’ll stretch your limits emotionally, spiritually and physically. Most of all, you’ll receive the blessing of giving to others. Volunteers on ministry trips experience real change in their own lives by pouring blessing into the lives of others. Medical/Dental Teams— Dentists, doctors, physician’s assistants, nurse practitioners, nurses, pharmacists, pharmaceutical sales and dental hygienists. Construction Teams— Construction experience is desired; but if you just enjoy physical work, you are welcome to be part of this team. Children’s Teams— Teachers, those who volunteer in Life Kids Ministries at Life Fellowship and anyone who has a heart for kids/students. Other Volunteer Opportunities*— People with organizational skills, ministry training or anyone with a heart for a specific age/gender group. * These are opportunities that can occur before and during the ministry trip. You may share your preference of the team you wish to be on and we’ll do our best to place you accordingly. However, team assignments allow you to practice an important character trait— flexibility. It’s imperative that you’re able to adjust and serve as needed to make the trip a great success for you, the team and the missionaries. This may take the form of teaching, promoting marketplace ministry, hosting leadership training conferences or providing crisis relief wherever disasters occur. It may also involve teaming with our global ministry partners to drill water wells, rescue children, feed the poor, provide shelter for those in need or train their leaders to do the same. Through Life International, you have the opportunity to join us as we serve God throughout the world. The needs are great but, with your help, this is all possible. We thank you for investing in the Kingdom of God! Not going on a mission trip? Want to help from home? We need people that will pray for us on a daily basis. The Bible says that the prayers of a righteous person are powerful and effective. We know that God is doing big things domestically and internationally. If this sounds like something you are interested in, please sign-up to be a part of our missions prayer team. You will receive updates from our team so you can see just how much God is working in the lives of others!